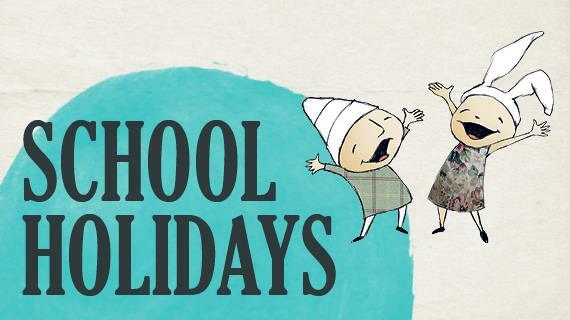 School holidays are a joy for kids, but not always for parents. Take the stress out of this time with these entertainment ideas that will keep your children happy! Melbourne has many museums to keep the kids entertained and educated. Two highlights are The Melbourne Museum and Scienceworks. Both of these are child-friendly, and will keep the little ones busy for hours! The iconic kids’ festival is heading to Melbourne this year! Headlining acts include Cody Simpson, Justice Crew, and Timomatic. There will also be food, rides, and lots of slime! You don’t have to leave home to have fun! Stay home and get creative. Set up an area that you’re happy for a mess to be made in. Buy a whole bunch of craft supplies, such as glue, scissors, paper, glitter, and so on, and then let the kids run wild! Create your very own read-a-thon. Give your kids a challenge to see how many books they can read during the holiday period. Choose the books together, so that they are fun but not too easy, so as to improve their reading skills. Get out of the city, and help your kids discover some of the great places Victoria has to offer. Sovereign Hill is always fun for kids, and an experience they’ll really enjoy. The Great Ocean Road, Hanging Rock, and Puffing Billy are just a few of the beautiful locations that are so close to the city, and yet another world to explore. Take them to an activity that will use up all of their extra energy! They’ll have a blast going to The Melbourne Zoo, ice skating at Ice House, and bouncing off the walls at Bounce. After a big day of fun, they’ll be tuckered out and you’ll have a quiet evening. Join us for free family fun during the school holidays. We have different events including indoor sports, a Reptile Encounters show, free pop up market and kids’ entertainment, and Sash Entertainment with face painting, balloon twisting, singing, and dancing!